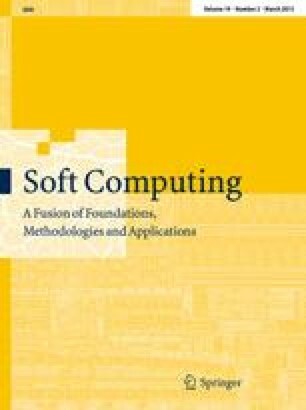 The purpose of this paper is to present a hybrid learning method for interval A2-C1 type-1 non-singleton type-2 TSK fuzzy logic system that uses the recursive orthogonal least-squares algorithm to tune the type-1 consequent parameters, and the back-propagation algorithm to tune the interval type-2 antecedent parameters. Based on the combination of these two training algorithms the new hybrid learning method changes the interval type-2 fuzzy model parameters adaptively and minimizes the proposed error function as the new type-1 non-singleton input–output data pairs are processed. Its antecedent sets are interval type-2 fuzzy sets, its consequent sets are type-1 fuzzy sets, and its inputs are type-1 non-singleton fuzzy numbers with uncertain standard deviations. Comparison with the non-hybrid interval A2-C1 type-1 non-singleton type-2 Takagi–Sugeno–Kang fuzzy logic system that only uses the back-propagation algorithm for both antecedent and consequent parameter’s adaptation demonstrates that the proposed hybrid algorithm is a well-performing nonlinear adaptation that enables the interval type-2 fuzzy model to optimally match the nonlinear behavior of the process. The application of the interval type-2 fuzzy logic as adaptable predictor using the proposed hybrid learning method was constructed for the modeling and prediction of the transfer bar surface temperature in an industrial hot strip mill facility. Experimental results demonstrated that this method improves the temperature prediction performance of the interval A2-C1 type-1 non-singleton type-2 Takagi–Sugeno–Kang fuzzy logic system.